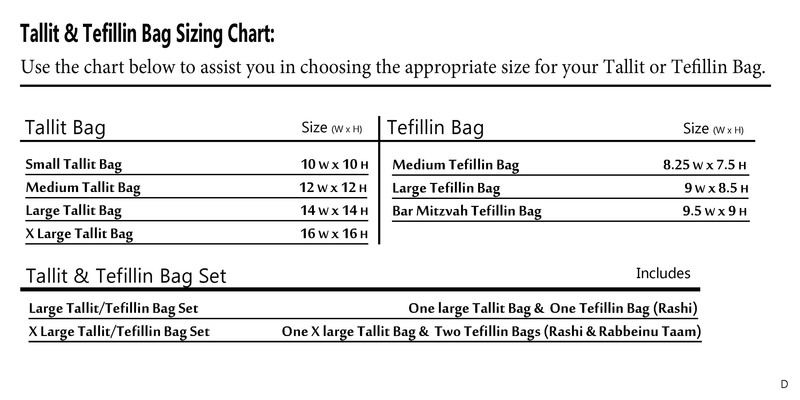 This velvet tallis/tefillin bag is beautifully designed. 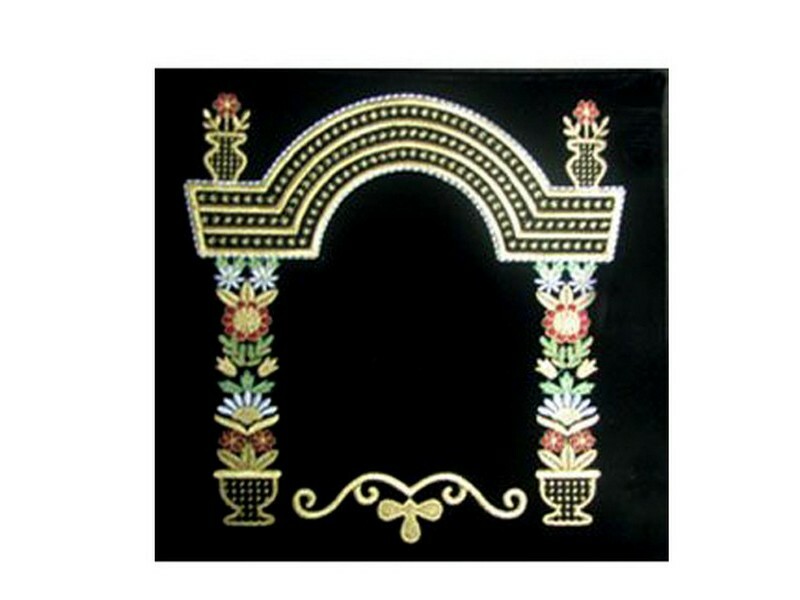 A rounded top canopy is threaded with gold and silver embroidery. The supporting beams are made up of a variety of different styled flowers each in different colors, giving the bag an artistic flair. In the center of the bag there is open space which is available for any custom embroidery.